"Justin, I viewed your DVD's and had a look through the book and am very pleased with my purchase. 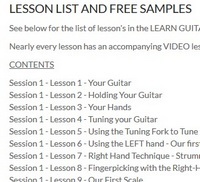 I have brought 3 learn guitar DVDs and learn guitar CD's, learn guitar books, been to guitar lessons and have pretty much wasted my money and have struggled to get minimal results out of it all. On viewing your course I have binned all the other rubbish and am finally thankful to have a true guitar teacher in my own lounge 24-7. I just want to thank you for the enormous amount of information you teach in this course and to truly thank you for giving me the opportunity to become a guitarist! I can now say: I play the guitar!" 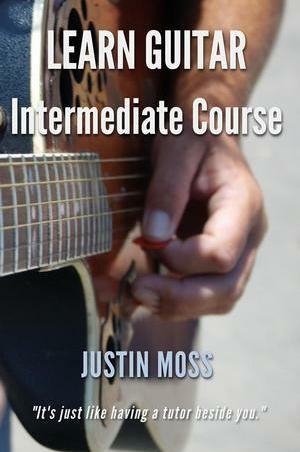 "I'm really enjoying using the guitar course. Have probably learned more in 2 weeks from the book and DVD than in the last 5 years." "I've learnt more in the first 20 minutes of this DVD than I have in a year attempting to learn from a book." I recently purchased your guitar for beginners dvd and booklet from Ebay. I would just like to tell you that it is with out doubt the best guitar tutorial I have seen. I am by no means musically talented and have tried to learn guitar before both with music teachers at school and then friends after leaving school. I never made any progress and gave up very quickly having not learnt anything on each occasion. Using you learning package I have made progress from day one. Each lesson is very well laid out, well explained and easy to follow. I used to find the guitar very frustrating but now I look forward to practacing it as I can see improvement everytime and am actually learning things. 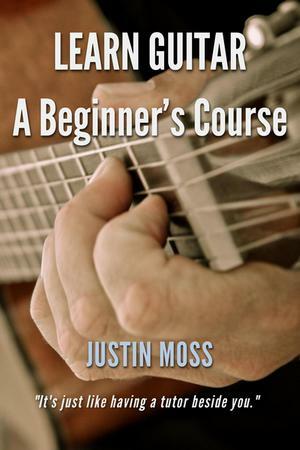 Thanks for putting out such a great product, I definitely recommend it to any one who wishes to learn guitar. "Well presented and packed with information. The best value for money for music tuition I have seen in a long time."